The UK's National Health Service has announced a fresh range of wireless sensors and apps will join its Accelerator programme, including a wearable breathing monitor. 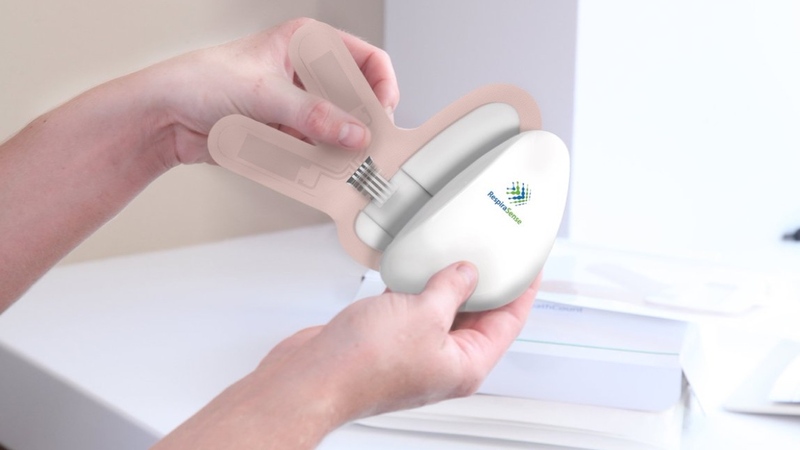 RespiraSense, which comprises of a six-inch adhesive sensor that sticks onto the side of the user's rib cage, measures breathing through the chest and abdomen, while also processing and transmitting the data through a plastic capsule. This helps the device to detect a number of life-threatening conditions, such as sepsis, pneumonia and cardiac arrest, with doctors able to tap into the information through a tablet when a patient's breathing reaches a dangerous level. In fact, a trial of 132 hospital patients using the device found that sepsis was able to be detected six hours earlier than usual, and in some cases 12 hours. NHS England chief executive Simon Stevens said: "Modern medicine is on the cusp of a huge shift in how care is delivered, and practical innovations like these show how NHS patients will now directly benefit. More tests and patient monitoring will be done at home or on the move, without the need to pitch up to a doctor's appointment or hospital outpatients." NHS England has also asked the country's 15 academic health science networks to start promoting RespiraSense, with the company receiving a £220,000 share of the national bursary. This, too, comes a week after the NHS announced a year-long trial for wearables that can help reduce the risk of type 2 diabetes, on top of a continued effort to innovate through wearable technology over the course of 2017.